Chinese Premier Li Keqiang arrived in Berlin on Sunday for the fifth round of China-Germany intergovernmental consultations and an official visit to the European country. Upon arrival, Li noted that he and German Chancellor Angela Merkel, who visited China in May, has realized an exchange of visits less than half a year after the two countries' new cabinets took office in March. That fully reflects the sound relations between the two countries and their shared aspiration for closer cooperation, said Li, who is now paying his fourth visit to Germany as Chinese premier. Noting the intergovernmental consultations serve as the highest-level, largest and most extensive platform of dialogue and exchanges between the two countries, Li said the mechanism plays an important role in coordinating and promoting bilateral cooperation. The two sides, Li added, should jointly map out their future all-round cooperation from a new starting point, so as "to seek benefits for the two countries and peoples, give impetus to China-Europe cooperation, and contribute to safeguarding free trade, multilateralism and a fair and just international order." During his stay till Tuesday, Li will hold talks with Merkel, and the two leaders will also witness the signing of a series of documents, and attend a forum on China-Germany economic and technological cooperation and a presentation of the two countries' cooperation on autonomous driving. Germany has been China's largest trading partner in Europe for 43 consecutive years. China has remained Germany's top trading partner globally. 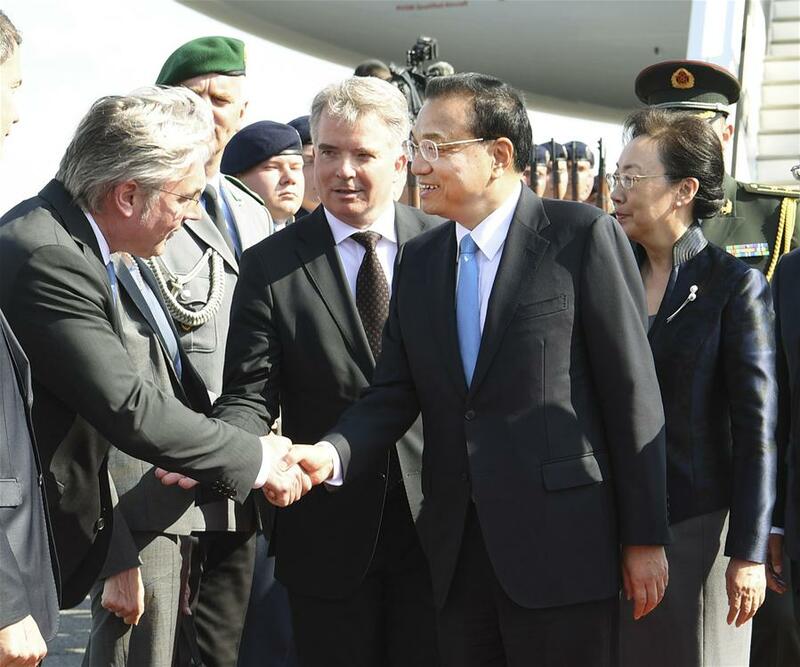 Li arrived in Germany after paying an official visit to Bulgaria and attending the seventh leaders' meeting of China and 16 Central and Eastern European countries in Sofia.